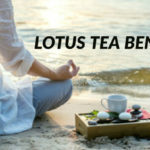 Today you you will discover some of the best tea for brain function. Improving your memory, focus and concentration with these proven herbal teas. I will explain how they work and why they work. 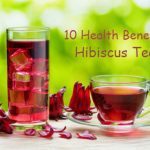 After reading this article you will have a understanding of the 8 best herbal teas for memory and focus. If you are reading this article, chances are that you or somebody you love are suffering from flightiness of the mind or memory loss. Poor memory can be a very frustrating issue. This is especially true when you are unable to focus and concentrate on a particular task. Most people wrongly associate memory loss with aging. This is an inaccurate misconception as various factors, including dementia, head injury, drug abuse, nutritional deficiency, stroke, depression, and stress. May also make one suffer from poor memory even at a very young age. Most people who suffer from short-term memory loss and occasional forgetfulness. Often rush to purchase conventional prescription drugs. Unaware that, there are plenty of natural herbal remedies that can be used. That is why this comprehensive guide is going to educate you on the top popular herbal teas. That you can drink to boost your brain’s performance. Green tea can be taken to improve both focus and memory as it contains two essential compounds (caffeine and l-theanine). Caffeine works to improve your alertness and focus. While l-theanine increases the brain’s alpha-wave activity. Hence, facilitating the minimized release of caffeine into the body. The potent herbal infusion that is prepared from the “Camellia sinensis” plant’s leaves. Should only be used by people who can handle its caffeine content. Epigallocatechin gallate (EGCG) is an important catechin compound found in Green tea. That has been proven to be quite effective in improving memory. EGCG’s antioxidant properties (scavenging harmful free radicals) can protect the brain neurons and cells from oxidative stress. The potent antioxidant has also been scientifically shown to facilitate the increased production of brain cells (neurogenesis). This alone can lead to an improvement in all cognitive functions and thus result in increased brain capacity. This popular culinary herb Rosemary can also be used to improve both memory and concentration. Rosmarinic acid is a potent antioxidant compound that can be found in Rosemary herbal tea. This antioxidant has been shown to be quite effective in neutralizing harmful free radicals. That can be found in the central nervous system (CNS). This 8-cineole is another essential compound found in Rosemary that can easily improve overall cognitive performance. Rosemary herbal tea is also widely used as a natural remedy for forgetfulness, anxiety, and depression. According to a 2003 scientific study that was published in the “International Journal of Neuroscience,”. Rosemary tea can improve a person’s mood(1). The speed of processing any information and the accuracy of memory. Ginkgo Biloba herbal tea has been used in the alternative medicine field for thousands of years now. According to the “Journal of the American Medical Association,” Ginkgo Biloba tea can be used to alleviate dementia. This is thanks to the herbal remedy’s unique ability to inhibit the formation of “beta amyloid” proteins that are known to cause Alzheimer’s disease. 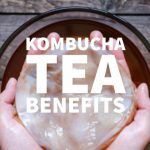 The herbal infusion that often requires long-term supplementation for it to work. Can also be taken to prevent cognitive decline in older people(2). Ginkgo has been scientifically proven to boost overall brain function through increasing blood circulation to the brain. The natural remedy also actively increases blood oxygen content which is important for memory enhancement. Ginkgo Biloba also contains potent antioxidants. That can neutralize the potentially harmful free radicals found in the human brain. This then creates a conducive environment for neurogenesis (the growth of new brain cells). American ginseng (Panax quinquefolius) and Asian Ginseng (Panax ginseng) which are both considered to be the “true” Ginseng herbs. Are considered, to be super-effective memory aids. Both the Ginseng herbs are adaptogenic in nature. Hence; can be taken to alleviate stress which is a major cause of memory loss. According to the “University of Maryland Medical Center,”. Ginseng herbal tea when taken can boost mental performance, especially in memory, concentration and mental arithmetic(3). In Germany, the Ginseng herb has been approved as an effective tonic for treating declining work and concentration capacity. The herbal remedy which also serves as a potent energy booster can be taken to decrease tremors, headaches, blood pressure and insomnia. All which can affect a person’s concentration. Gotu Kola can be used to improve memory, mental function, attention span, intelligence, and focus. Through increasing blood circulation to the CNS and providing the brain with various vital nutrients. The natural herbal remedy is also able to alleviate mild stress. While also promoting a positive mood both which are key factors for concentration and memory. Gotu Kola tea has a very high concentration of pyridoxine (vitamin B6), riboflavin (vitamin B2) and thiamin (vitamin B1). All these are essential vitamins that are required for the normal functioning of the brain. High doses of the herbal remedy are known to increase blood sugar and cholesterol levels. Hence, Gotu Kola should be avoided by diabetics. This herbal remedy is considered to be a potent anti-aging herb. That can be used to rejuvenate the body and mind in traditional Chinese medicine and the Ayurveda field. Bacopa has been used in the Ayurvedic medicine field for thousands of years to improve concentration, learning, and memory. This herb, which is also commonly referred to as “Brahmi,”. 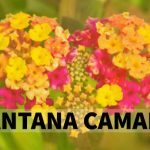 Often prescribed by herbal specialists to treat multiple cognitive conditions. Including depression, brain fog, poor concentration, and memory. Various scientific findings indicate that Bacopa can easily destroy the “beta amyloid” proteins that cause Alzheimer’s and can be used to neutralize the harmful free radicals found in the central nervous system. Bacopa herbal tea has also been scientifically proven to force the right and left brain sides to work together. Thus, improving focus and understanding. This is also one of the many herbal remedies that have been used since the historic period times. A potent treatment option for dementia and to improve memory. 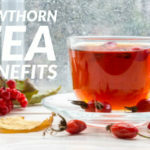 The herbal tea contains powerful antioxidants that are capable of easily crossing the blood-brain barrier to neutralize the harmful free radicals. That are found in the major body organ. According to reputable scientific researchers. Sage tea contains several active ingredients that work to boost brain’s neurotransmitters. The herbal tea’s potent anti-inflammatory and antioxidant compounds can be quite beneficial to brain neurons and cells. Rhodiola Rosea is widely recognized to be among the best memory enhancement herbs. The herbal tea can be taken to relieve depression and improve overall mood. This is thanks to its unique ability to increase serotonin and dopamine levels in the brain. Rhodiola is also able to influence the opioid peptides found in the brain despite the fact that it is not a stimulant. 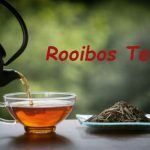 Certain scientific findings indicate that Rhodiola Rosea herbal tea can improve the user’s cognitive functions and memory. This is especially true for people suffering from age-related memory loss disorders like dementia. All the top 8 herbal tea’s discussed above are generally considered to be safe for human use. It is, however, important that you always consult a health practitioner or licensed herbalist before using any of the infusions. You can now experiment with the eight herbal remedies to identify one that works for you. Apart from experiencing a tremendous improvement in your memory and focus. 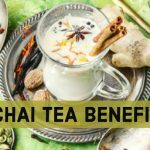 You will also be able to enjoy the many other health benefits provided by the herbal infusions. Enjoy your herbal tea.